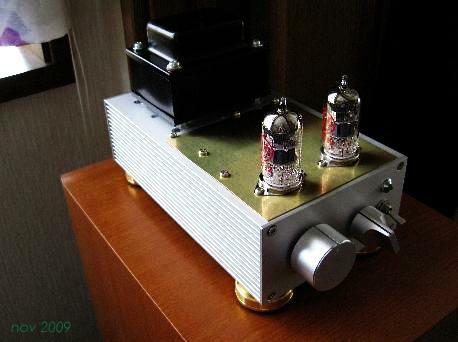 is 6N1P p-g Amplifier.DAC is very simple but good solution of sound.input is only 2 channel SPDIF input. 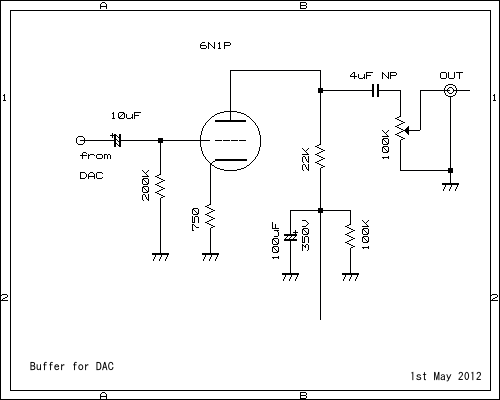 circuit diagram is same circuit of V1. 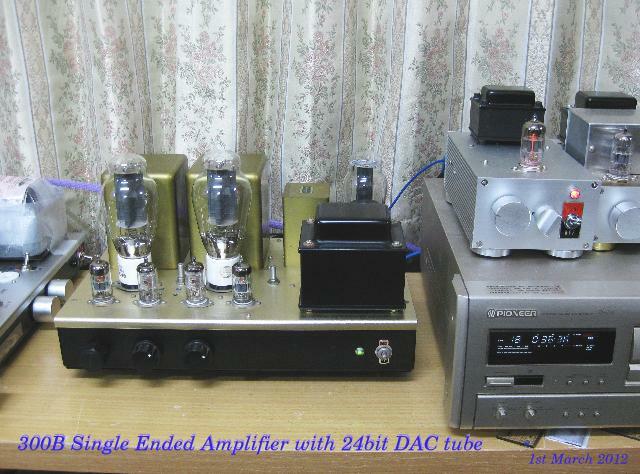 line amplifier is different of V1 type DAC. this time using can you use for 220V small transformer. 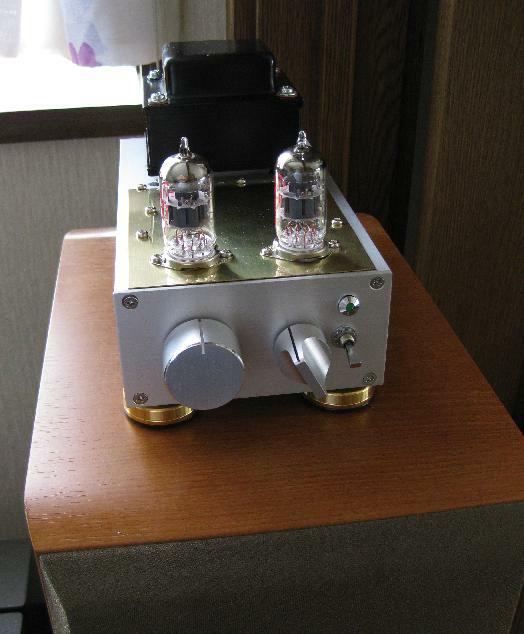 only 2 resistace of amplifier and very simple.very clear sound getting. 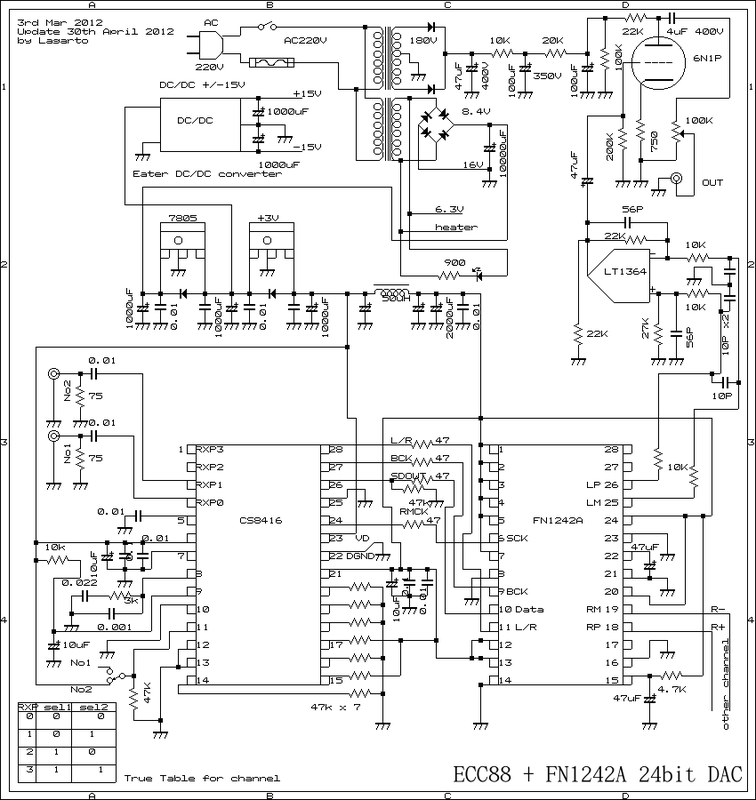 Digital Input is 2 channel of SPDIF,11pin of DAI ,change 0 or 1 from +3.3V. 0,0 is channel 0 and 0,1 is channel 1.so you can get 2 channel SPDIF input. I am using DAT and CDP or internet Radio from USB with PC. 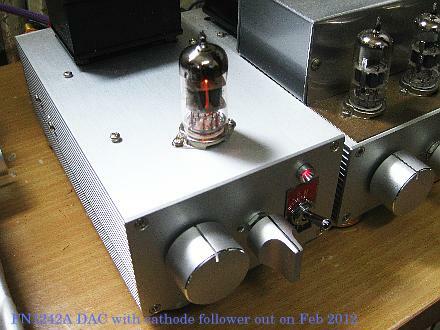 Op Amp using LT1364 and getting good clear sound fom Tube DAC. 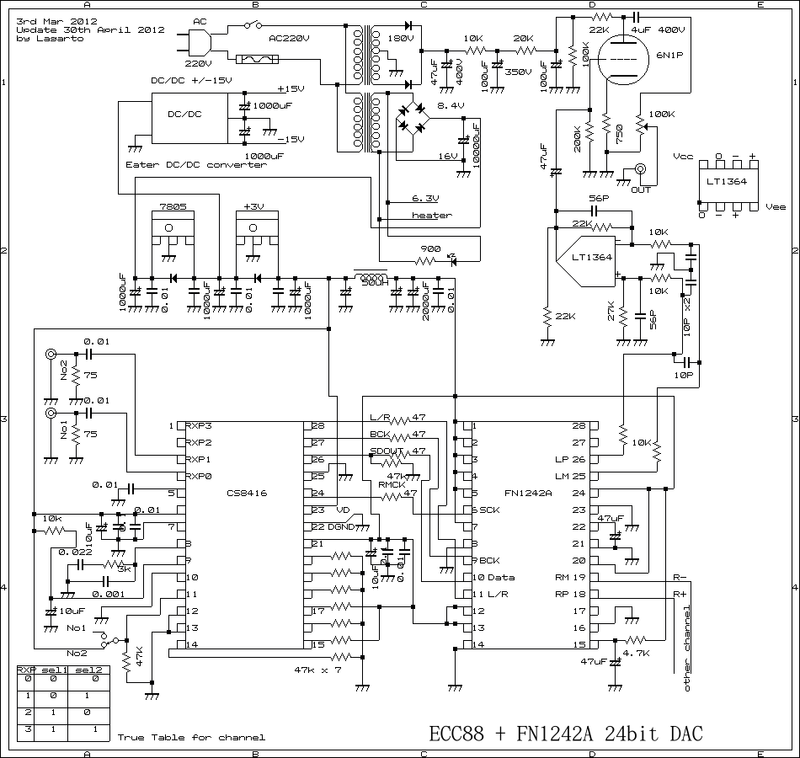 finally circuit for pre-buffer is above schematic. 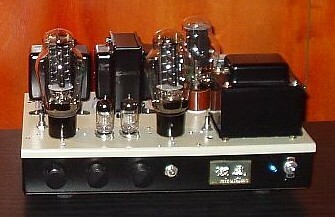 P-G Amplifier. and very clear mid and high range.circuit is next please see it's. very simple and good sound getting !!!! !